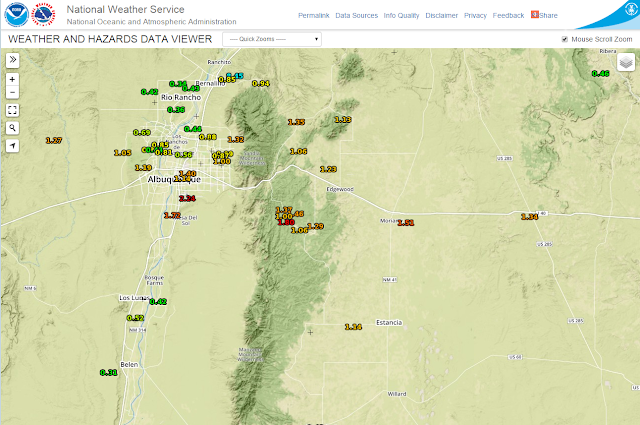 Heavy Rains Yesterday & Last Night. 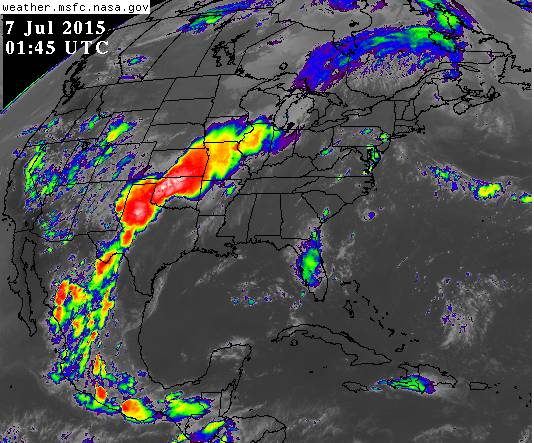 IR Satellite Image @ 7:45 PM MDT Monday. 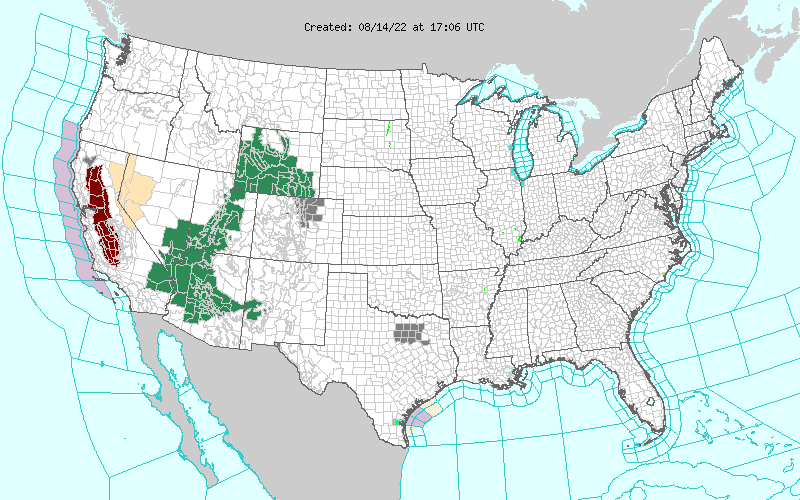 Several large clusters of thunderstorms (MCS's) stretching from the Chicago area southwest to eastern New Mexico lay along a strong cold front Monday evening. 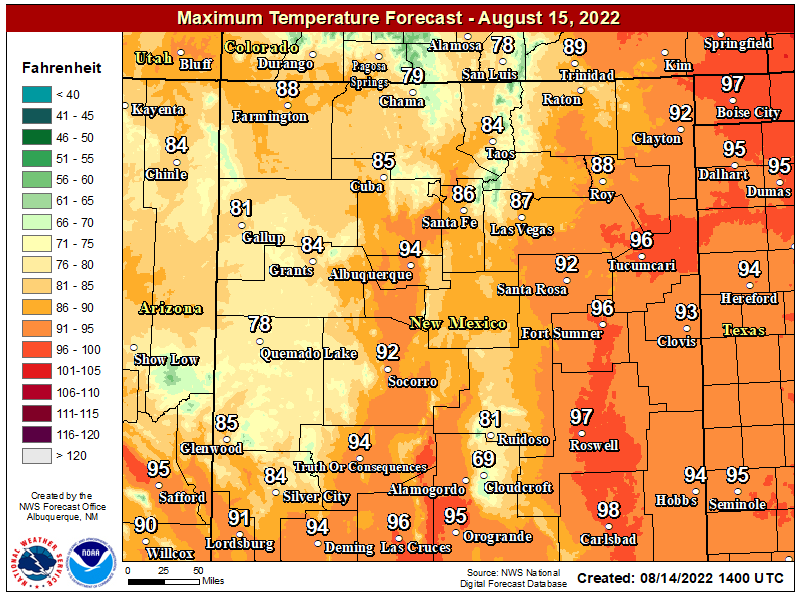 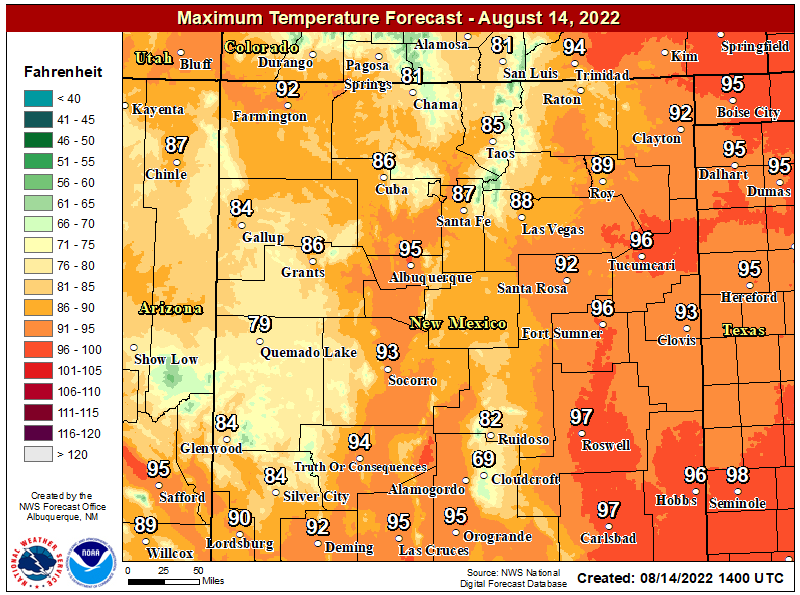 NWS MesoWest High Temps Monday. 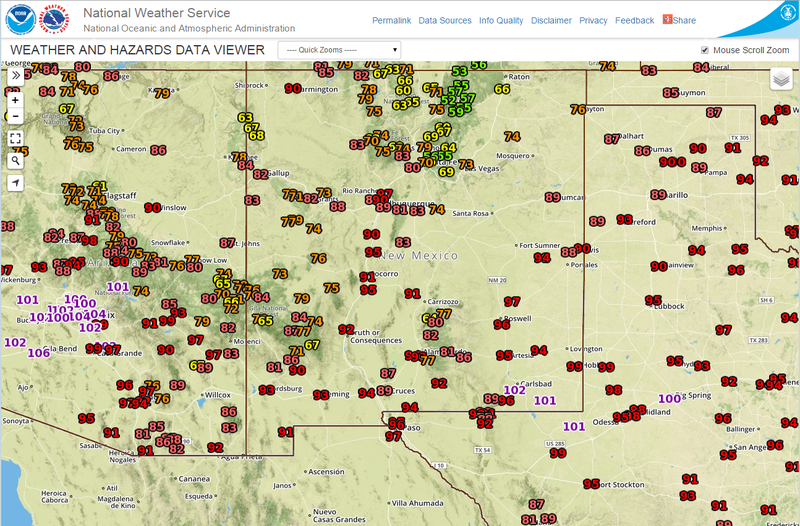 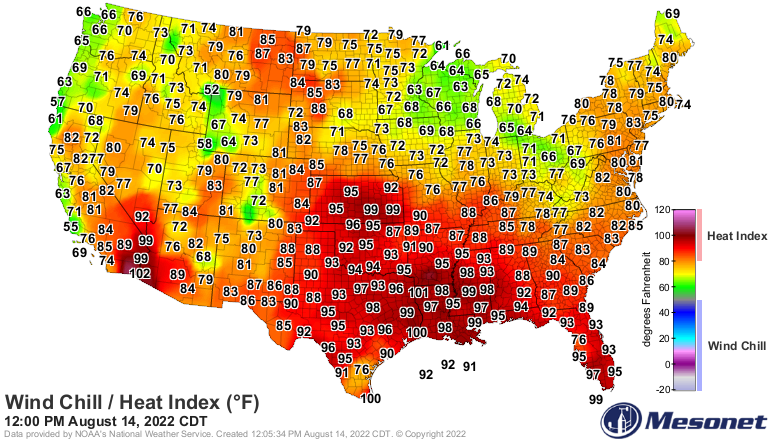 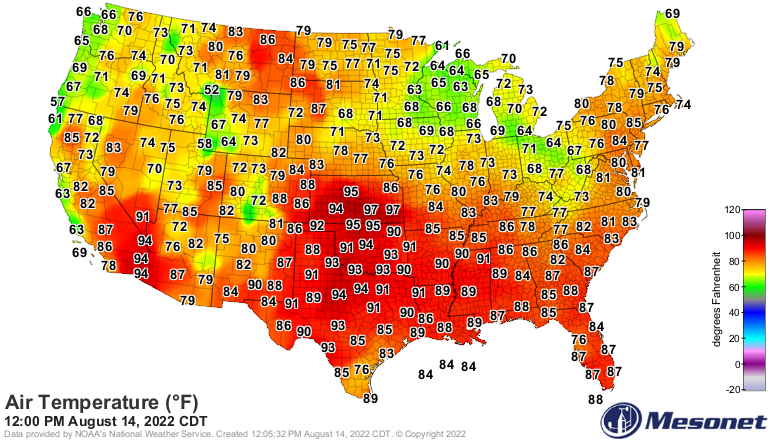 Ahead of the cold front yesterday afternoon our high temps ranged from the mid 90's to 102°F at the Carlsbad Airport. 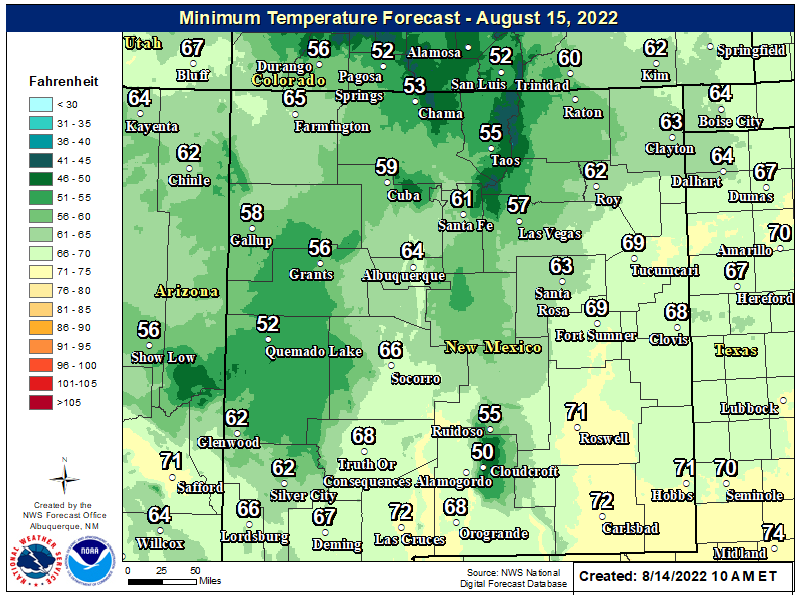 Behind the cold front highs ranged from mid 70's in northeastern New Mexico to the 50's and 60's in the northern mountains. (As Of 7:22 AM MDT This Morning). 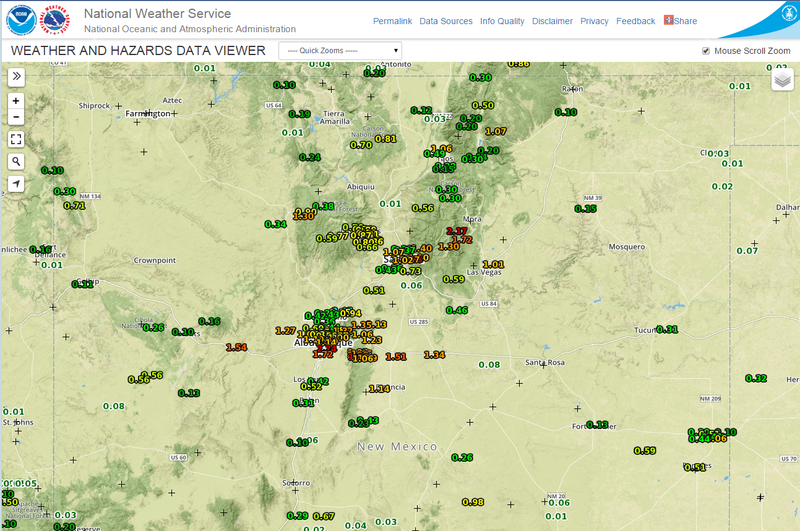 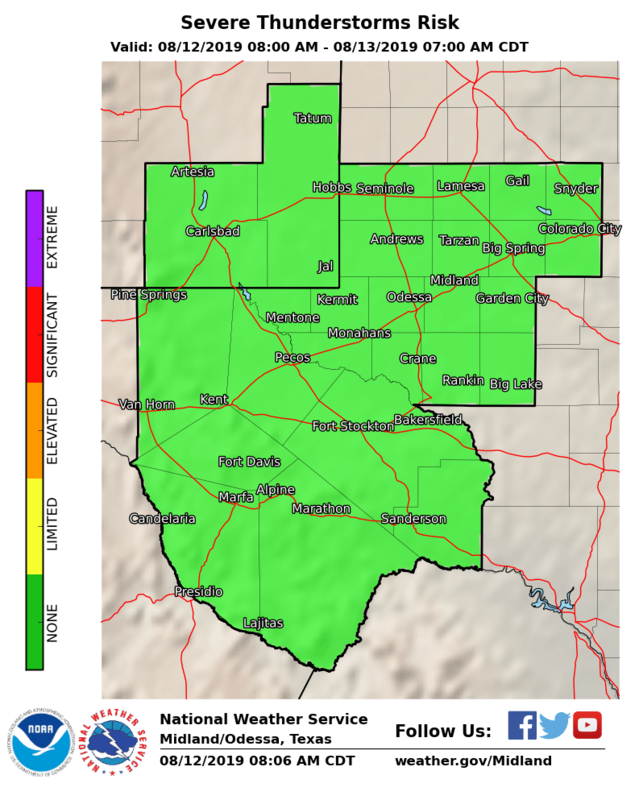 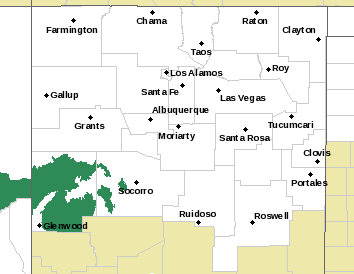 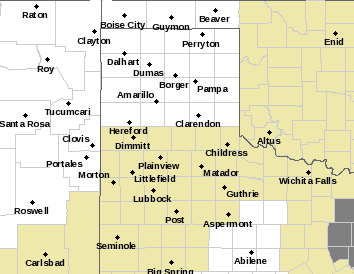 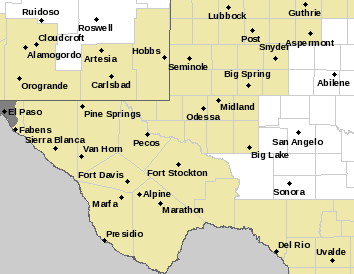 Flash Flood Watch For SE NM & W TX. T-Storms unloaded on many areas of the state yesterday and overnight. 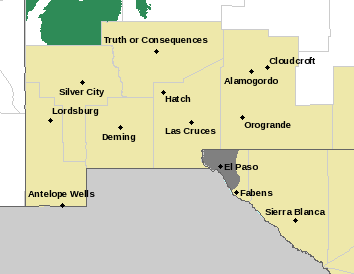 Including the Albuquerque Metro area. 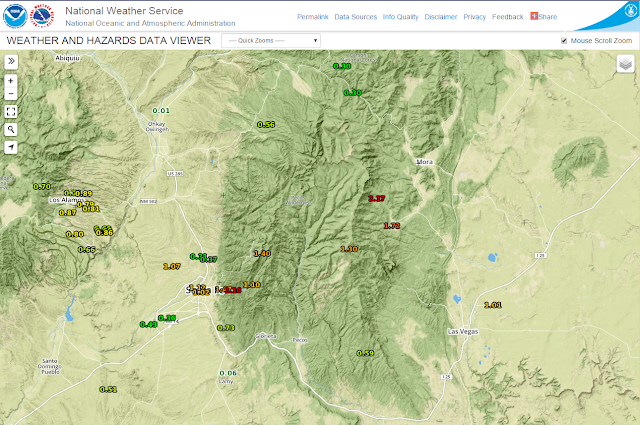 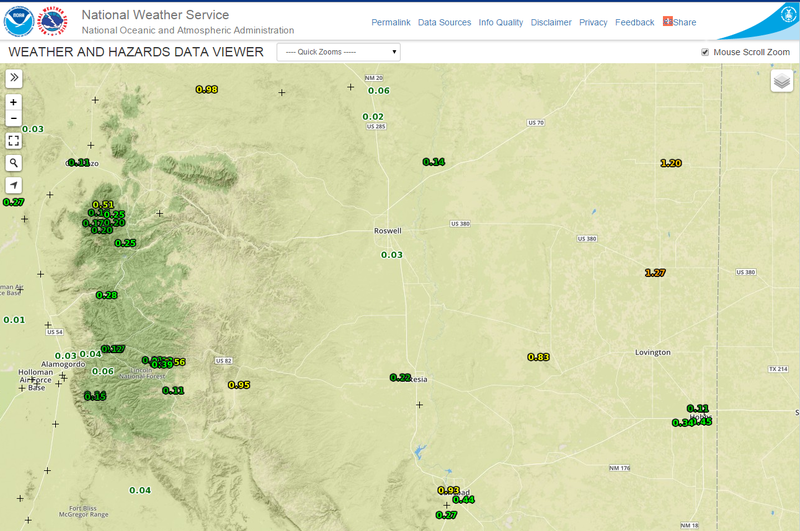 Note some of the heavier rainfall totals noted as of 7:30 AM MDT this morning. 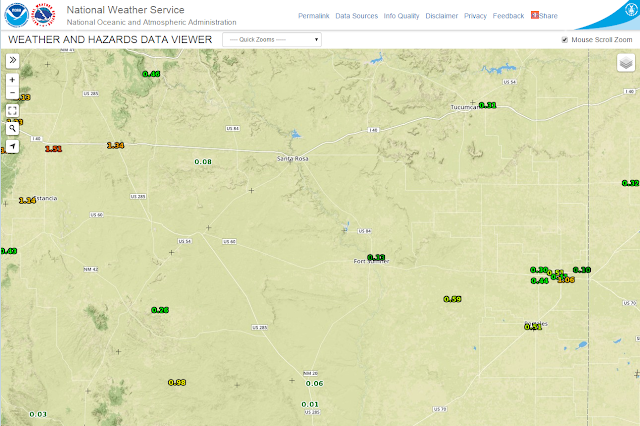 Santa Fe Watershed Raws 2.20"
Our Home In NW Carlsbad .93"
Lubbock, Texas just got nailed again yesterday afternoon into the overnight hours. 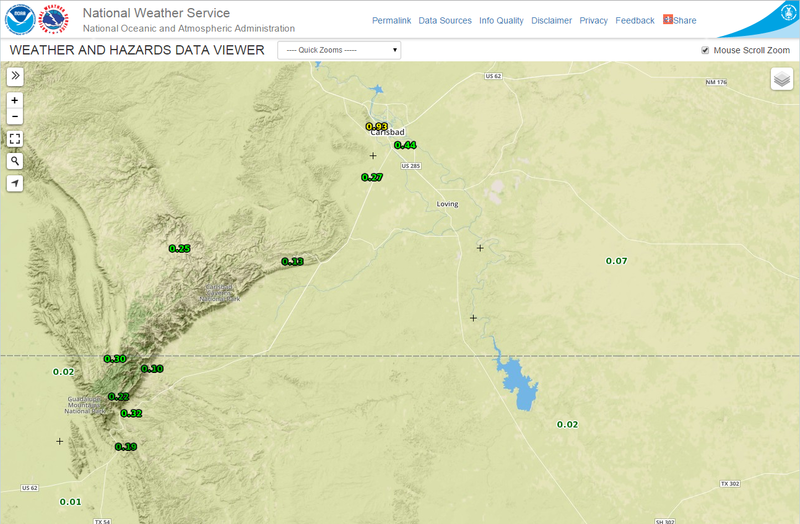 So far they officially have recorded 3.31" of rain since yesterday afternoon which brings their Year To Date rainfall to 21.39". 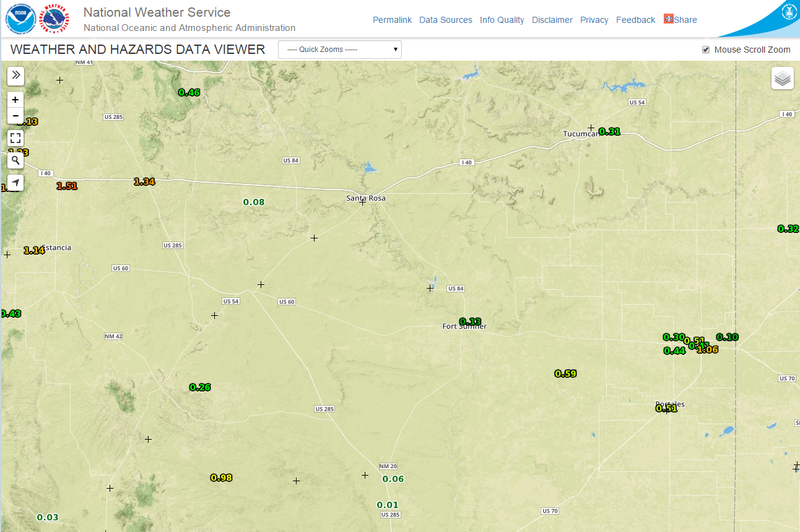 A CoCoRaHS Station in Idalou 0.4 SSW which is just east of Lubbock is reporting 6.29" so far. We picked up .93" overnight which brings our July rainfall total to 1.02" and our Year To Date total to 8.92" here in Carlsbad, New Mexico. 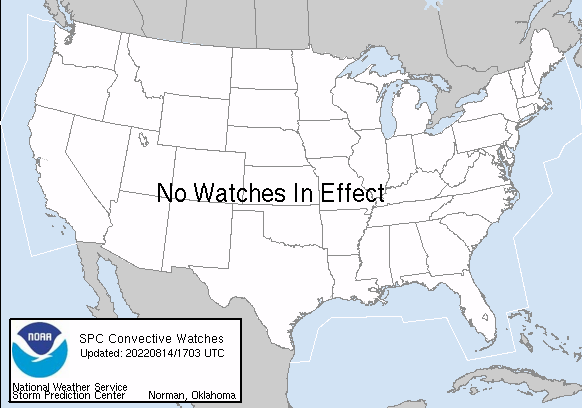 Gotta love our wet El Nino summers...they don't happen often enough.